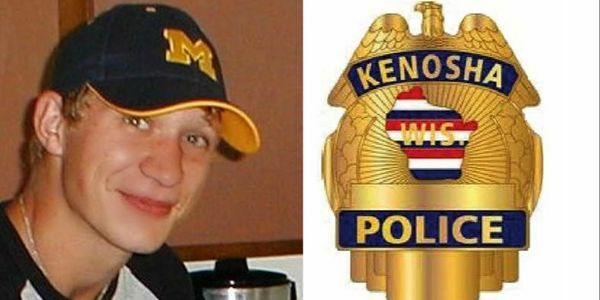 In 2004, while a police officer held 21-yr-old Michael Bell in a bear hug, another Kenosha Police officer placed his gun directly to Michael's head and took his life. As per Wisconsin Statute 979.04, the District Attorney may call for a public inquest when death is unexplained or due to suspicious circumstances. Please sign this petition to demand Kenosha District Attorney Michael Graveley call for a public inquest in the shooting of my son. Call MAYOR on MONDAY for MICHAEL!! In honor of Michael's birthday, March 3rd, our family is asking you to call Mayor John Antaramian at (262) 653-4000. We are requesting a public hearing into the police shooting death and subsequent cover-up of 21 year old Michael Bell. He should make that request to District Attorney Michael Graveley. United with our FACEBOOK friends, more than 26,000 people could call his office today. I will make my call at 8 AM Central Standard Time. Please call today!! ***Call MAYOR on MONDAY for MICHAEL*** In honor of Michael's birthday on March 3rd, our family is asking our 9,000 FACEBOOK Friends and the Nearly 18,000 petition signers to call the Kenosha Mayor's office at (262) 653-4000 on MONDAY March 5th. We are uniting 25,000 people let Mayor John Antaramian know that a public hearing into the police cover-up is required to learn the truth. Once again (262) 653-4000 , that's (262) 653-4000 on Monday March 5th. Our two petitions asking "DA Graveley to order an inquest into the fatal police shooting of Michael Bell" gained more than 250 signatures in the first 24 hours. Please share and encourage others!